Attention: Before continuing on this page, please be sure you have read and understand all safety instructions and precautions outlined in our Safety Warning. Please contact us with any safety questions you have after reviewing these guidelines. 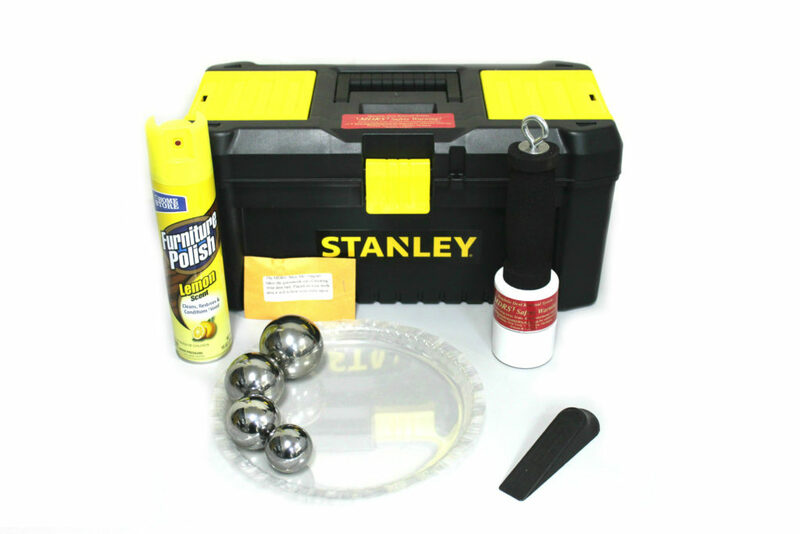 Introducing the Magnetic Dent Removal System Apprentice Kit for the removal and/or improvement of dents from large bore brass instruments (tubas, sousaphones, baritones, euphoniums) and saxophones. The Apprentice Kit is now available to those who are not otherwise professionally involved in the repair of band instruments. It is particularly useful to low brass players, collectors, university low brass studios, secondary school band programs, marching bands, drum corps, etc. *Please note: The Apprentice Kit will perform a wide variety of dent removal operations including those shown on this site, however, more serious denting/wrinkling/creasing may resist removal or improvement and will require a professional technician (to locate a technician near you, visit the NAPBIRT website). Tools that are stronger than the Apprentice Kit are only available for purchase by technicians.